The Beautiful Earth campaign is back as Estee Lauder Companies (ELC) invited 12 celebrities to become this Beautiful Earth Campaign Ambassador and one of them is Zainal Abidin who composed & sung the beautiful of song HIJAU (Green) back in 1988 ( 23 years ago) telling people to save the earth from dying. And back then, people take for granted and care less!! And today with the global changes and everyone are more concern about it. 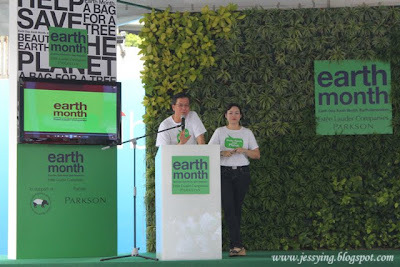 And this year Estee Lauder Companies will aim to educate the public on the importance of environmental sustenance, reduce the use of one-time plastic bags and paper bags, as well as aim to raise funds to repopulate its mangrove swamplands in Sungai Sepang Kecil. 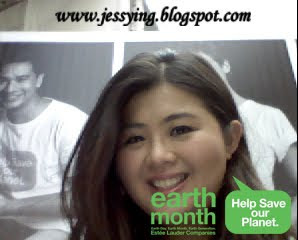 ELC partners up with Parkson Corporation to bring you the Beautiful Earth 2011 campaign. 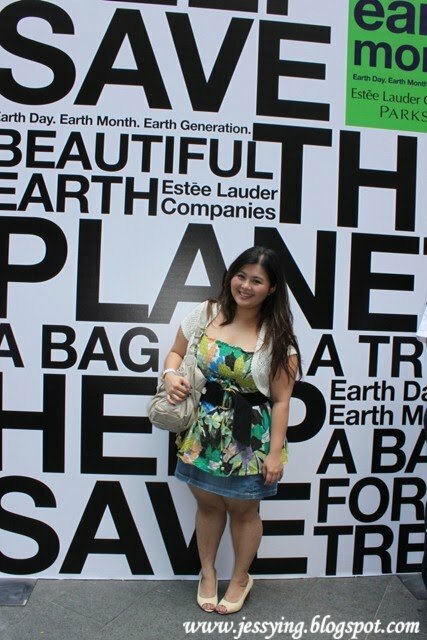 Through its A Bag for a Tree project, you can take part in this effort as well. Simply make your way to any ELC freestanding stores as well as Parkson outlets nationwide to make your contribution by donating RM25 to the cause. 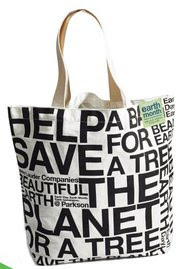 For your contribution, ELC offers you a limited edition Beautiful Earth eco-bag, made from 100 percent environmental-friendly materials. Your donation of RM25 will then be used solely for purchase of a mangrove sapling, which will be planted in the ELC mangrove swamplands through the Malaysian Nature's Society in its effort to grow more trees for the environment. I took mine, have you? 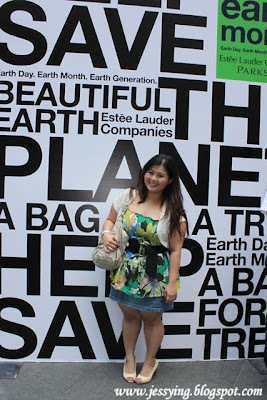 Apart from there, ELC would like to invite everyone to take your GREEN PLEDGE (click here) to promise ourselves that you will do you very best in your own capacity to save the earth! And if you do your own part , Everyone Wins ! 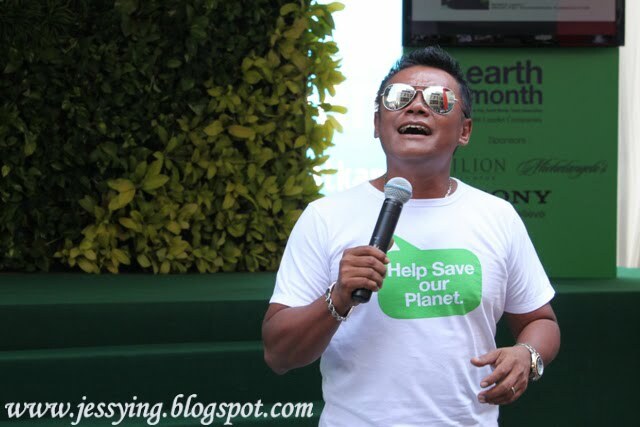 The highlight of the event is Zainal Abidin sang the song of HIJAU and reminds us that if we do not take care of the earth, it will be gone ! It's such a beautiful and meaningful song! 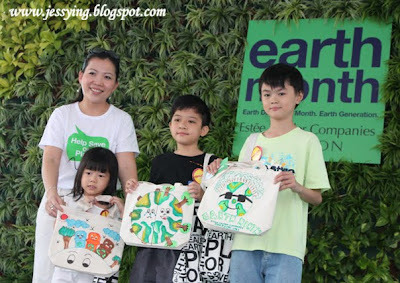 And there is a children drawing competition to design the bag too!! I have made my pledge, have you ?